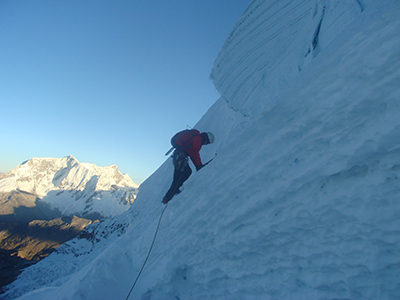 Tocllaraju is one of the most famous mountains of the Cordillera Blanca with an altitude of 6034m. Access to this mountain is possible through the Ishinca Valley, one of the most famous and beautiful valleys in the Cordillera Blanca. We will also see other mountains such as Ishinca, Palcaraju, and Urus, which has a summit shaped like a pyramid. We will depart from Huaraz to the north side to the village of Collon, or begin a walk to Pashpa that takes us to the base camp in the valley. We will camp at Ishinca base camp. We will leave early from our camp to the moraine and after an hour walk we reach the Canpos Glacier 1. This day starts early, and you will bring your mountaineering equipment. Upon reaching the base of the summit, we prepare to climb the summit. 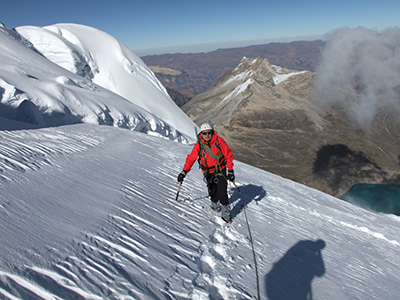 From this summit we will view the other peaks of the Cordillera Blanca, and then descend to base camp. We return from base camp to the village of Collon where we wait for a bus to Huaraz. Contact us and we will answer any of your questions.